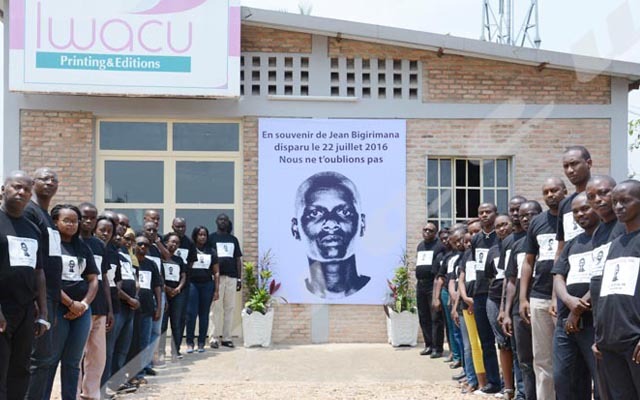 350 Burundi Network on Climate Change (350 BNCC) is an organization of activists highly concerned about the climate change issues and its impact on human life, well-being and the future of the planet. According to Landry Ninteretse, Legal Representative of 350 BNCC, the objective of that campaign is to reinforce the capacity of local actors about climate change problems. “We have invited representatives associations from all provinces, to give them competences and notions that will allow them to understand the climate change phenomena. We help them to take adapted community actions to fight against climate change,” he explains. He adds that the team of 350 BNCC will visit respectively all provinces of Burundi to see together with local authorities and the population the situation of climate change. For him, the Climate Change in Burundi is a reality; it is considerably observed now. “The Bugesera Region is now threatened by prolonged droughts and famine, Mirwa region by landslide and Imbo plain by intense heat and flooding ….” He regrets. Richard Havyarimana, the Organization Coordinator indicates that individual solutions are possible to be adapted to climate change. “Burundians must change mentalities. Everybody must be involved in the protection of the environment. Climate change is due to human activities; the situation will be saved thanks to human effort and involvement in the protection of the environment,” he advices. Donatien Mpawenimana, from Bubanza Province, from the Association of Agro-pastoral and Public Health Development (DAGROPASS) points out that he has learnt more from that training. “I was not aware that old vehicles pollute the atmosphere, I was not also aware of the climate change catastrophes in Burundi. I never thought that flooding, drought, and heat I observed around me, are consequences of climate change,” he surprisingly says. He decides to change his behavior and sensitize others about the climate change dangers. “Since now, I will sensitize others to plant trees, avoid bush fire and use the improved stoves requiring less wood for cooking,” he states. The view is shared by Emmanuel Nzoyisaba, from Bujumbura, representing the Association for the Environment Protection and People Sustainable Development (APEDP). For him, he has learnt that the use of carbon and petrol, deforestation are factors of climate change causes. So, he vows to sensitize others about the reduction of all activities that can cause negative climate changes impacts.